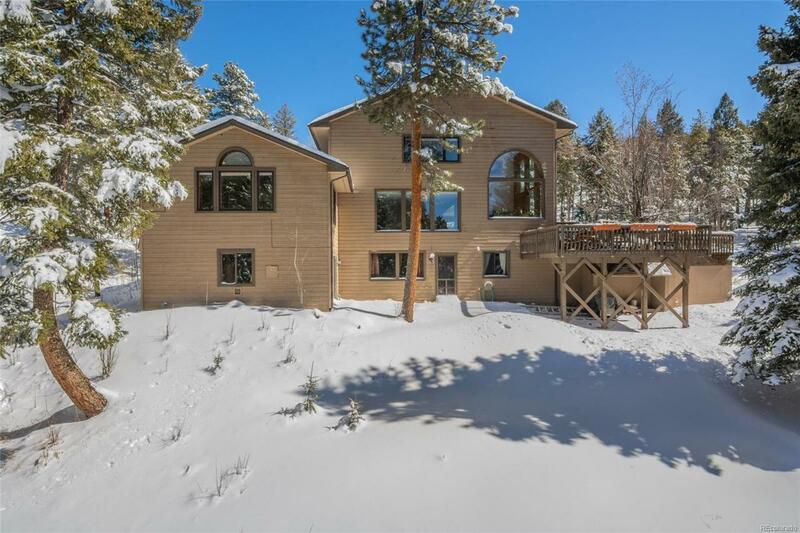 Super charming 5 bedroom, 5 Bath mtn. 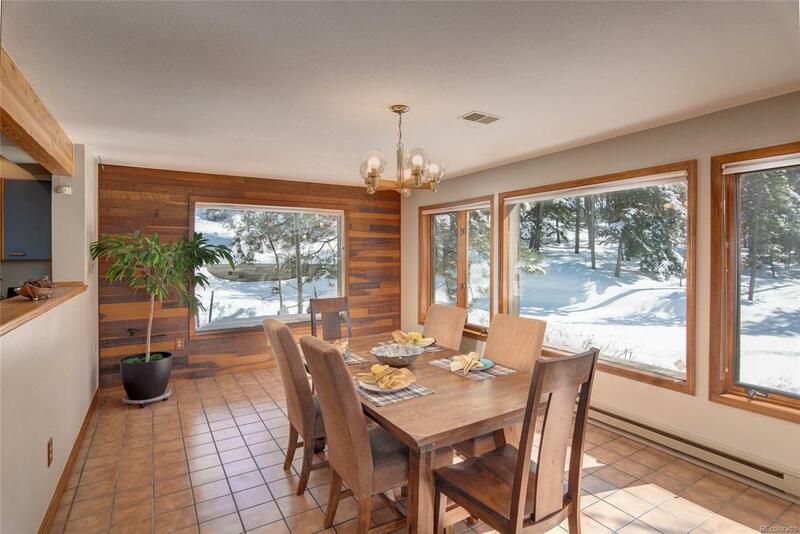 contemporary on 3+ stunning acres, with seasonal stream, in sought after Evergreen Meadows. Take a hike out your door & up to Mount Berrian right through Denver Mountain Parks Open Space. 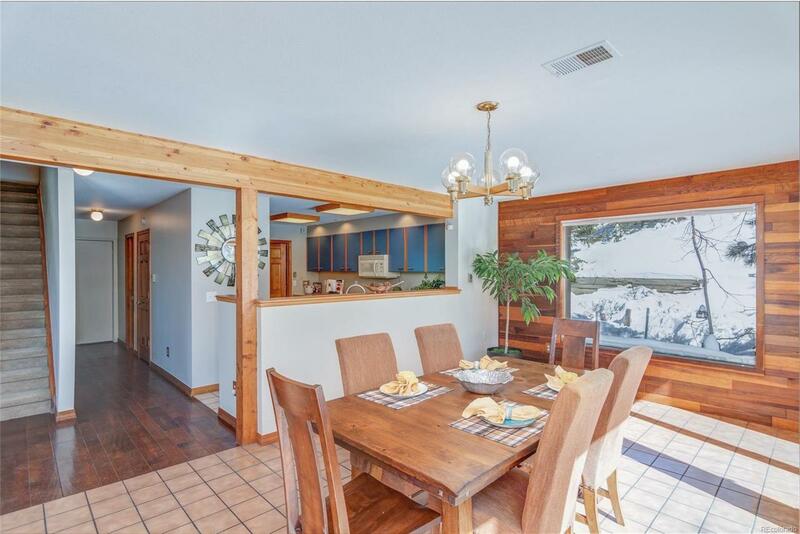 Enter your home through a bright 2 story atrium into a large and sunny dining room. 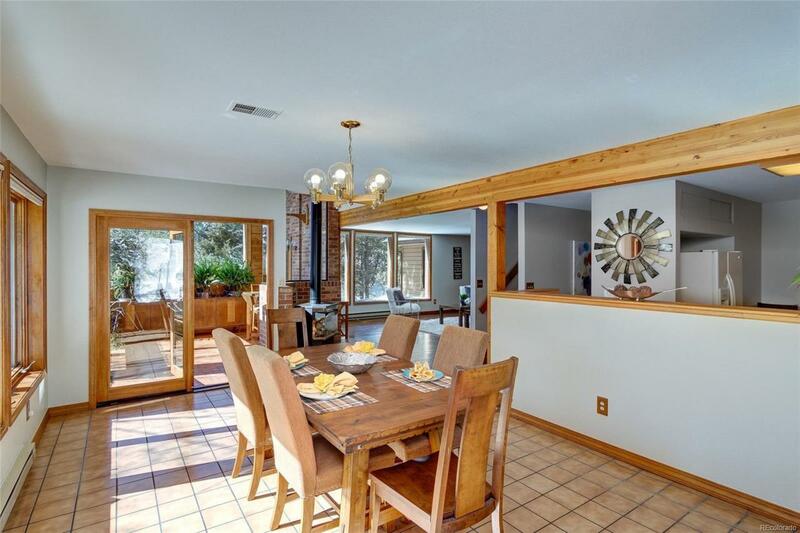 Enjoy the large country kitchen with a walk in pantry. Sit in your living room & watch forest, mountain and wildlife views while you warm, yourself by the cozy, propane stove. You will feel like royalty in the huge, main level owners suite with many built ins, an electric fireplace, walk in closet and designer bathroom. Upstairs you will find a second master suite & 2 additional large bedrooms. The walk out lower level is partially finished and ready for your dreams - a workshop, family room, home theatre, or all 3 - whatever your heart desires. The paved driveway is south facing and the oversized garage has room for all your toys. Serenity, beauty and space; this home has it all!